Celebrating 100 Episodes! Again! - CTRL+CLICK CAST - We inspect the web for you! Your browser doesn't support HTML5 audio, and won't play Celebrating 100 Episodes! Again!. You can download this episode to play on your preferred media device, or you can read our transcript. What have we learned in another 100 eps? We celebrate this milestone — again! — by highlighting must-listen episodes from our perspective and yours! Tune in for what we’ve learned, our most downloaded episodes, and some rather nice reviews. Let’s celebrate 4 years of conversations about the web! Lea Alcantara: From Bright Umbrella, this is CTRL+CLICK CAST! We inspect the web for you! Today we are celebrating the 100th episode of CTRL+CLICK CAST. Lea Alcantara: This episode is sponsored by the inaugural Dot All Conference for Craft CMS developers. 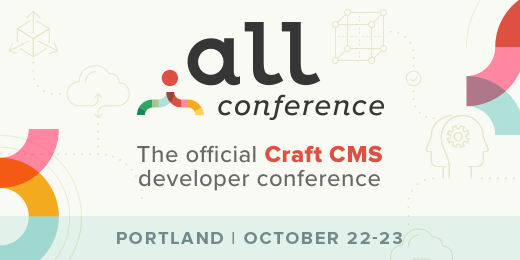 Dot All 2017 is taking place on October 22nd and 23rd in Portland, Oregon and will feature a Craft 3 workshop led by Ryan Irelan of Mijingo, a plugin development lab, and a full day of sessions relevant to Craft and web development. For more information and to buy your ticket, visit dotall.com. Hope to you see there. 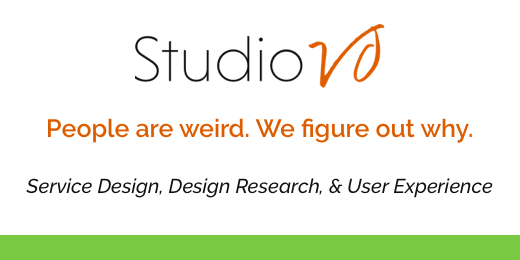 Lea Alcantara: Studio VO, people are weird, we figure out why. So I’m afraid we’re going to dive into clichés about time flying when you’re having fun. Lea Alcantara: But it’s true. Can you believe we’ve reached a 100th episode milestone? Lea Alcantara: Right. If you’re just tuning into the show, a quick summary, CTRL+CLICK CAST was originally the EE Podcast, and we celebrated 100 episodes of that almost exactly four years ago. Lea Alcantara: Yeah, and just like last time, Em and I are going to be recounting all our favorite episodes. Emily Lewis: But what’s different this time is we’re also going to talk about what you, our listeners, like about the show. It’s going to be a love fest with you sharing some of your reviews as well as your favorite episodes, our top three downloads, along with our favorites. Lea Alcantara: Awesome. So let’s start with positivity. This is a review from Tearyane Glover who wrote us a great note along with a donation. Lea Alcantara: I know. I know. Lea Alcantara: Yeah, thank you so much. Emily Lewis: So now that we’ve had a little bit of a listener perspective, let’s just jump into some of our favorite episodes, so Lea, why don’t you start? Lea Alcantara: All right, so for one of my first favorite episodes, I want to highlight a really design-centric episode. Emily Lewis: Of course, you’re a designer. Lea Alcantara: Yeah, I know, but you know while our show focuses on a lot of CMSs and dev, I want to make sure that listeners know that we dive deep into singular design topics, too. Lea Alcantara: I mean, I personally love discussing the nitty-gritty of design work and its thought process. So speaking of, here’s a clip from Episode 63 where Geri Coady explains how important color is to web design. Emily Lewis: So why is color so important to design, in all areas of design? Geri Coady: Well, it’s not just an aesthetic thing, which I think a lot of people, especially designers and developers, kind of think it is. It’s not just an afterthought that it’s something you’re going to add, you’ve designed a bunch of wireframes and add the color in later. It’s important because it’s so emotional. It’s got a lot of meaning and messages behind it, different cultures, all that sort of thing, but it can also help create hierarchy in a design. It can help draw your attention to certain areas of the page. It can help the user on their flow through your website. It’s not just aesthetic at all. All that sort of thing is going to affect how a person can use a website. So it’s definitely more interactive. It’s more critical for web design because you can’t really control how a person on the internet is going to view your website, like everybody knows this with responsive design and that sort of thing. Geri Coady: In the same thing, like you can’t really control how somebody is going to see your website in terms of color, so it’s definitely very important to think about for that reason in web design. Lea Alcantara: I like how she emphasized that design choices don’t come out of the blue. Lea Alcantara: Now, my first fave is out of the way. How about you, Em, what’s one of your favorites? Emily Lewis: I wanted to figure out what I love about the show itself, and so I picked three episodes, each of which represent an example of why I host the show and why I get so much out of it myself. Being inspired, being introduced to new ways of thinking and learning ways to be better at what I do. Emily Lewis: And so the first episode I wanted to share is the one we did with The FlyDuo, which was something that really inspired me. Sherri and Reuben really affirmed that you can be yourself and still find success in this industry. Reuben Johnson: And which is kind of I guess one of those things with our learning process because through doing it that way and trying to go in a direction that they want us to go in, we realized how much it can be detrimental to your business and how you see your business, if you operate in a way that’s not really the way that your gut and your brain and your research is telling you you need to go. Sherri Johnson: People were like super excited about us, but nobody really not loving us either, but lukewarm is not really the best place to be either. Sherri Johnson: So we spent a lot of years there. So when we branded two years ago, we were like, “We’re going all in or we’re going all out,” because we weren’t happy. Sherri Johnson: So we were like, “We’re going to speak our language to the people that we’re speaking to and not worry about everybody else,” and that’s what you get when you get us and we pretty much are like our client, you know? Emily Lewis: I think you can even tell from the clip how open they are. Emily Lewis: I felt like I got to know them, which is a bonus of doing the show, building relationships with our guests. So how about you, Lea, what’s another of your favorites? Lea Alcantara: Well, I feel like my next fave episode should be top of mind. It reminds people that we’re designing for humans, and as a designer I think it’s important to know that people will be interacting with your site, right? Lea Alcantara: And it’s a great reminder that our user experience and design decisions can directly affect someone’s thought process and mood. Lea Alcantara: So here’s Beth Dean giving a real-world example on how ignoring context and the people using your site can have consequences. Beth Dean: Yeah. So to kind of summarize what you were talking about, one of the ways I think we have approached software design for a really long time is that we don’t want to create friction for people, right? Beth Dean: Friction is frustration. If they go through an experience and there is a lot of friction, they’re not going to be happy, and that sort of assumes that they’re coming into our designs in a good place to begin with, and people aren’t always. So when you think about, “Why might I be checking my bank balance? Is it because I need to pay a bill and maybe there’s not enough money in my bank account? Why am I logging into my insurance policy? Is it because I just had an accident?” I feel like maybe the best way for me to describe this is by examples of where it’s not working. Is that okay with you, ladies? Beth Dean: So one anecdote I have for when I worked in insurance, so like I was saying, insurance rating is very complicated. People generally don’t understand it. They don’t know why their rate cost and what it does, so we were going to do a test where we wanted to show people their credit score as they went through the process of buying insurance because we thought this would help them understand how we assessed what kind of risk they presented to us, and this sounded kind of good on the surface. We wanted to increase transparency and tell people a little bit more about how this was working, and when we got into the test, this woman was confronted with her score when she was not expecting it, and it was very low, and it turned out that she had been bankrupted a few years in the past by a huge medical catastrophe and it just devastated her family and they were living with the fall out of this for years, and she just was not expecting to be confronted with this number and burst into tears in the middle of our test. We just thought, “Oh, more information is always better.” We had no idea the ramifications of such a thing, and I feel like a lot of people, designers, today are experiencing moments like that where they have this information and people are more vulnerable than they ever were before, and we just don’t think about the impact of what it might be like to see things when we aren’t expecting them. Lea Alcantara: I’m really glad how Beth emphasized the real reaction to a real test that she was a part of. Lea Alcantara: Because these concerns aren’t just theoretical, they’re real and they’re relevant. Emily Lewis: And that’s another thing I love about the guests that we’ve had on our show, they’ve been so open, not only sharing technical knowledge, but real personal experiences that have informed their technical knowledge. It’s so practical. Lea Alcantara: Yeah, that’s what I love about the show. Lea Alcantara: So Em, what’s another episode you love? Emily Lewis: Well, this is a show that we just had. It’s Episode 99, so the one right before this one. Laurie Voss was our guest and he talked with us about web development trends and what was most surprising for me on our conversation and an example of what I love doing the show is he changed one of my own perspectives. Emily Lewis: It’s really refreshing to think something for a really long time and then just have someone present it to you in a different way. Emily Lewis: And I think if you listen to the show, you’d know that I’ve long advocated for web fundamentals. As a front-end dev, to me, that’s like web standards, building with accessibility and progressive enhancement in mind, and really for me, I’ve always believed that in order to do that, you really need to understand the code you write, and it’s why I don’t kind of like things like frameworks. Emily Lewis: But while I’ll always be a believer in best practices, Laurie really offered some food for thought on what fundamentals really are. Laurie Voss: I think I’d probably take a different position on fundamentals to you if only because after 21 years in the business, I’m not sure what people think out as being fundamental anymore. Laurie Voss: Like when I started web development, the first book that I have ever bought is Teach Me Web Development. The very first thing that the book taught me was CGI. Laurie Voss: And they were like, “So these are the fundamentals, here you go,” and instead of teaching you HTML, the book taught you SGML, which most people don’t even remember anymore. Laurie Voss: Everything is an abstraction on top of another abstraction, and the stack is so big and so complicated that it’s impossible for anybody to know every layer of the stack. Laurie Voss: The idea that there’s a full stack developer is a myth. Laurie Voss: Like the stack have 45 levels. If you’ve got ten of them, you’re doing really well, but you’re not a full stack developer, and nobody is, so if the very first thing somebody learns is how to build an app in React and Redux, and that’s all that they know how to do, they’re fine. They can build 95% of web apps. And if they need to do something complicated that that thing can’t do, then they’ll figure it out, they’ll break out of the abstraction eventually. But I think I can’t define what a fundamental is when it comes to web development, and therefore, it probably isn’t a real thing. Emily Lewis: And so as I mentioned, this was our last episode, #99, and I think that’s going to show you that even after six years, I still get so much out of this show. Lea Alcantara: I know. This is what I love about it. There’s always something new. Lea Alcantara: Sometimes people think designers work in a black box or that we’re just pulling decisions out of a hat, and maybe some designers do, I don’t know. Lea Alcantara: But this episode with Matthew Oliphant about data-driven design really resonated with me. I personally loved discussing the elegant balance of data and logic with your personal judgment. Lea Alcantara: I think that’s the sticking point. Lea Alcantara: Because numbers and behavior, they actually mean nothing unless you actually decide to do something about that data. Lea Alcantara: So don’t just execute a job, make sure it’s in line with the business goals. So here’s Matthew talking about a popular user experience test and questioning its utility. Matthew Oliphant: I’ll say that I don’t really like eye tracking or mouse tracking. Matthew Oliphant: Especially like for mouse tracking because I watched some of my test where people spin the mouse around the screen while they’re thinking. Matthew Oliphant: Like, “Well, okay, that really doesn’t help me decide anything.” So I don’t really care for that kind of testing. I know that there are people who build businesses around it and it helps with their being successful, but I don’t really care for it. I don’t mind A/B testing in general, but it’s got to be something where you’re getting statistically significant results. So if you can generate 10,000 to 100,000 results over the course of a day or a week, A/B testing will tell you maybe what is happening. Matthew Oliphant: But the way I use A/B testing is to inform me what questions to go ask. Matthew Oliphant: Like it informs what questions I go ask when I go out and talk to people. I don’t like to use it to inform design decisions directly because it doesn’t tell you what the motivation is for people. Matthew Oliphant: It just tells you what they’re doing. Lea Alcantara: Again, emphasizing that’s just because it’s well known, it doesn’t mean the technique is right for the project. Lea Alcantara: So with that in mind, what’s the last episode you wanted to highlight then? Emily Lewis: So this episode that I picked is the final thing, the final reason that I really love doing in the show, and that’s about learning to be better at what I do. Emily Lewis: So our episode with Dan Mall, we chatted about professionalism, and there was so much good information that he shared. Emily Lewis: And it’s just a really refreshing and well-reasoned perspective on how to be a better professional. Dan Mall: One of the things that I hold as high as communication is accountability. He’s like, “It has nothing to do with that. It has all to do with accountability.” So the follow-up question was, “Well, what do you mean by that?” And he gave a formula for accountability, which I’ll never forget. He said, “Accountability means three things. So the first thing in accountability is that you need to have a standard, and that’s a thing that everyone has to accept and agree to. So whatever that standard is, it could be a high standard or low standard or medium standard, but everyone just has to agree to it. The second thing is that you have to have a way to measure that standard. So a standard for us might be you come into work at 10 o’clock. That’s the standard that we all agree to. If somebody comes in at 10:05, they have not met that standard. If somebody comes in at 9:55, they have met that standard, like it’s pretty easy to measure. And then the third thing is that you need to have consequences for that standard not being met, and those consequences can be both positive and negative. So if somebody comes in at 9:55, maybe they get a reward for coming in early. If somebody comes in at 10:05, maybe they get penalized for coming in late. It’s a bit of a silly example, but accountability sort of has those three points to it, so when I try to work with people on teams, I try to establish what the accountability is. So how am I accountable to you? What standard are we going to agree to? How are we going to measure that, and what are we going to do if it doesn’t happen, and what are we going to do if it does? I think that’s probably what I like most about the people that I do like working with most is that the commonalities that they’re the most accountable people that I know, so when I work with people that are very accountable, it almost doesn’t matter how good the quality of work is, I just know that whatever they say they’re going to do, they’re going to do. So if I say, “Hey, can you build this thing that you’ve never built before?” “Yes.” Great, I can trust that that’s going to get done, and so one of the things that I also hold as highly as sort of the communication part is definitely accountability. I love working with accountable people. It makes me more accountable and it challenges me to do that, and so I think there’s this really great thing that’s being built up when you work with a lot of accountable people on a team. Lea Alcantara: Right. I mean, I feel like we’re one of those ads where it’s like I’m also a client, you know like? Emily Lewis: That’s it feels like to me, yes. Lea Alcantara: So enough about us for a moment. Let’s talk about our listeners’ favorite episodes. Lea Alcantara: But before we do that, let’s talk about another review. Emily Lewis: It’s sharing information and teaching. Lea Alcantara: [Laughs] Yeah, I know. I know. I mean, sometimes podcasting is like in a black box itself. Lea Alcantara: So it is nice to have these little tidbits here and there. Lea Alcantara: Okay, so now, let’s talk about our top three most downloaded episodes, so I’m going to guess this is our listener faves. Lea Alcantara: And it starts with Overwhelmed by Code with Susan Robertson. And that went okay, but last summer, I needed to do a password meter for a login form or for a signup form, and I had no idea what to do and one of the guys I work with, he and I peer programmed via IRC no less for about a day or more where I would try something and he would look at it and we had a couple tools where we could share code and I didn’t really want to sit on Hangouts with him because then he’s like over your shoulder watching you type, and that’s too much, but since we’re remote, we kind of made it work with a tool to be able to paste code and share a quick link of that and then just me being able to try to describe as well as I could what was happening or what wasn’t happening, and by the end of it, I had a password meter that was functioning as the designer desired it function, and that was super gratifying. It took a long time. I mean, most of the guys on my team would have written that password meter probably in half a day and it took me over a day, but I learned, and I learned quite a bit. Susan Robertson: And I had to kind of get it working. Lea Alcantara: This is no surprise that this is a top download. Lea Alcantara: I think so many of us in this industry are self-taught and it’s such a young industry. It’s really a challenge to know where to focus your time. Lea Alcantara: So I feel like Susan’s advice is practical and realistic no matter where you are in your career. Emily Lewis: Yeah. And I think it’s really relatable, too. Emily Lewis: Because she’s just really honest and open about where she is and why she makes the choices that she does. Lea Alcantara: Yeah. I feel so grateful that our guests are so open and frank with us. Emily Lewis: Yeah, that’s fantastic, which brings us to our second most downloaded episode, which was Practical Pricing with Brad Weaver. Brad Weaver: So you need to know what you need to make to not only to survive, but to thrive, and the shop rate, that is the linchpin of what I lead people to do, is the basis for all pricing calculations, and it’s what helps you determine if you’re profitable and if the client and their project fits your business needs, whether you can take the work or not. It helps you determine if they are a value to you, and it basically puts you in a position to flip the conversation around and put you in the driver seat, your shop and your clients, when you do it this way rather than being shopped. You only have so many hours in the day, and even if you’ve got a team, you still collectively have a limited amount of time that you can do this stuff, and you’re selling your time for money and time is the only resource that we can’t ever have more of. Brad Weaver: And if you want to thrive in this thing and not struggle and not just basically make a paycheck, you’ve got to find out what it cost to run your business with a profit and determine how much of your time you can give to each client to get there and that gives you a shop rate that is gospel in my house. Lea Alcantara: This was such a fantastic episode. Lea Alcantara: Yes. Talking to Brad was our Aha moment personally as a business. Lea Alcantara: And I really liked the no-nonsense practical way he approached pricing your services. I feel that’s what’s been missing with a lot of web business advice, it’s the specifics, because everyone can tell you to raise your rates, but Brad helped explain the hows and the whys. So I feel like everyone in the web industry, web business, should listen to this episode and get their head in the right place so they can keep their business running. Emily Lewis: Yeah, absolutely, like you said, his advice completely changed our business and I think it’s worth noting that that was, what, like about a year ago or a little over a year ago? Emily Lewis: We are still implementing the advice that he gave us and so it’s not only just something like you pick up and you try. It’s super easy to maintain. Lea Alcantara: Right. And tweak. Emily Lewis: Well, yeah, and you should. You should be monitoring your pricing all the time. Lea Alcantara: Yeah, absolutely, because businesses change, climates change, clients change, so you have to be on top of that stuff. Emily Lewis: Communicate better with clients. Lea Alcantara: That this is our most downloaded episode, especially because it was a recent episode. Lea Alcantara: And it was a just us episode. Emily Lewis: Yeah. I am shocked as well, but I think it just illustrates that the challenges you and I face when talking to clients is common. It really resonates with our peers. Emily Lewis: We, in the web industry, we get so bogged down in minutiae, in buzz words, especially because when we’re talking amongst ourselves, that’s how we connect and get the details worked out. Emily Lewis: But we can lose sight over the why, why we’re building a site or an app in the first place, and that’s what’s important to the client, and then we also forget that just because we know what the buzz words mean doesn’t mean our clients do. Emily Lewis: And that can really, really be detrimental to a business relationship or the project. So here’s a clip from that show. Emily Lewis: You can’t lay the foundation until you have the blueprint for the house. Emily Lewis: Because you’ll have a website, but it probably won’t do the things you wanted it to do. Lea Alcantara: Right, and if we take it to the home analogy, it’s like, “Okay, I’m going to pay for this interior decorator to make my house look nice, but I won’t repair this leaking foundation.” Right? Lea Alcantara: So it’s like, “Okay, I’m going to pay a ton of money to make this all look good and feel like home and yet my basement is flooding.” Right? Lea Alcantara: And so that’s why it’s so important to invest a lot of time in the earlier parts of a web project, all of the things that we mentioned with information architecture and user experience, so that all the things that you see that you might thing is only web design is actually just the surface part. We need a good foundation for the entire site. Lea Alcantara: So short plug, I’ll be diving into this topic even more at EE Conf in Denver, Colorado this October. Lea Alcantara: But I think this house analogy highlights a very relatable way of explaining the value of a website without mentioning every technical detail. Emily Lewis: Yeah. So I think that gives you a flavor of the whole series. So if that episode is popular, I imagine the rest of the episodes in the series will also connect. We dive into how to talk about front-end development with a client as well as content management with a client. So we also go beyond just design, web design. Emily Lewis: All right, and that brings us to the end of another 100 episodes. I think we should have applause! Emily Lewis: So normally, at the end of the show we do a fun rapid fire Q&A, but for this special episode, we wanted to share some fun facts about CTRL+CLICK. So Lea, what’s one of our first facts? Lea Alcantara: So we’ve always championed diversity. Lea Alcantara: But after our rebrand, we really wanted to be intentional about featuring a wide range of voices on the show. Lea Alcantara: So we are really proud to discover that 60% of all the voices these past 100 episodes are women. Emily Lewis: Nice. And while we’re highlighting a gender stat, we are also very intentional about talking to people from different countries, of different ages, races, sexual orientations, abilities, and even career trajectories. Lea Alcantara: Yeah, absolutely. But next fun fact, we love some of our guests so much that they’ve been on our show two or three times, especially if you count our EE Podcast days. Emily Lewis: [Laughs] So not as prestigious as the SNL’s Five Timers Club, and no one gets them on a monogrammed robe, sorry. Emily Lewis: But shout out to the two timers club who are Jess D’Amico, Angie Herrera, Aaron Gustafson, Travis Smith, Carl Crawley, Eric Lamb, John Rogerson, Anna Brown and Mitchell Kimbrough. Lea Alcantara: And special thanks also to our three timers club. Lea Alcantara: Erik Reagan, Ryan Masuga, Marcus Neto and our former digital assistant, Erin Lewis. Emily Lewis: All right, so let’s finish up with one last listener review. Lea Alcantara: This one is from joshsmith01 on Stitcher. He wrote, “The subjects and guests are top notch. The show is produced well and has quick but comfortable cadence. The analysis and thought from the hosts is the best around. I don’t always agree with what they think, but I appreciate that they present their ideas to us. The content is always relevant to running a web business or being a web professional. One would do well by tuning into these leaders in our community. Lea Alcantara: I know. I know. I know. I think one of the things that I’m most proud of though is that people still tune into what we have to say even if we disagree. Lea Alcantara: I think that’s an important point. I think it’s healthy to be curious and question assumptions. Emily Lewis: And I think that’s one of the things that we regularly do on the show, and I think that’s a really great note to end on. So to our dear listeners, thank you for tuning into another 100 episodes. We hope you continue tuning in. Be sure to check out our show notes for links to all of the episodes that we highlighted today. Lea Alcantara: CTRL+CLICK is produced by Bright Umbrella, a web services agency obsessed with happy clients. Today’s podcast would not be possible without the support of this episode’s sponsors! Thank you, Dot All Conference and Studio VO! Emily Lewis: We’d also like to thank our partner: Arcustech. Lea Alcantara: And thanks to our listeners for tuning in! If you want to know more about CTRL+CLICK, make sure you follow us on Twitter @ctrlclickcast or visit our website, ctrlclickcast.com. And if you liked this episode, please give us a review on Stitcher or Apple Podcast or both! And if you really liked this episode, consider donating to the show. Links are in our show notes and on our site. Emily Lewis: Don’t forget to tune in to our next episode when Jake Jorgovan joins our show to talk strategic partnerships and cold calling. Be sure to check out ctrlclickcast.com/schedule for more upcoming topics.